The FK Deghost module is designed to attenuate those wave fields when the ghost delay times are variable, either due to the streamer shape configurations or the sea surface undulations. The assumption is that the offset increment is uniform and small enough to avoid spatial aliasing. Beginning with a shot record in the time-offset (t-x) domain, we first transform every trace into the frequency domain. Then for every frequency sample we apply either or both redatuming and deghosting operators, designed based on individual receiver elevations and depths, together with a specific |k| in mind. Then we perform Fourier transformation in the offset direction in order to obtain those k traces for which the above operations were valid. After obtaining a full range of k traces we perform an inverse transformation to obtain a redatumed and/or deghosted wavefield back in the t-x domain. Reflection coefficient at the sea surface is estimated by using an empirical equation, based on frequency, angle of incidence and the local wave height. 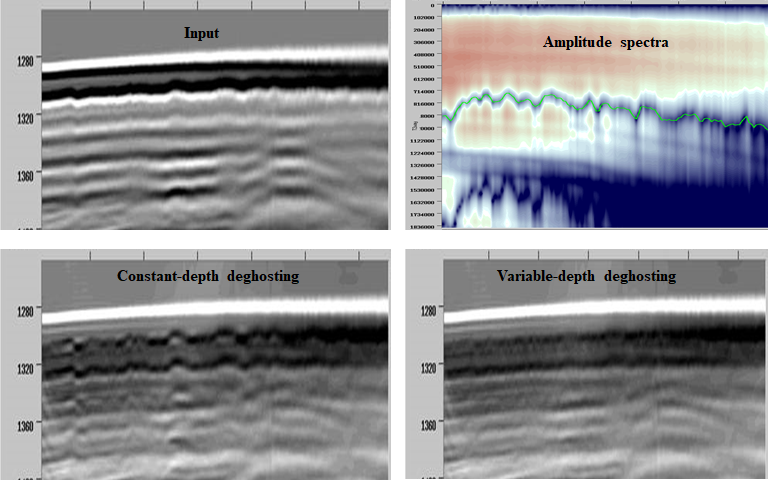 Figure 1: Deghosting wavefields recorded by a variable depth streamer. A time delay of 2dxcosθ/vw accounts for both the depth of every individual receiver and the angle of each plane-wave component. 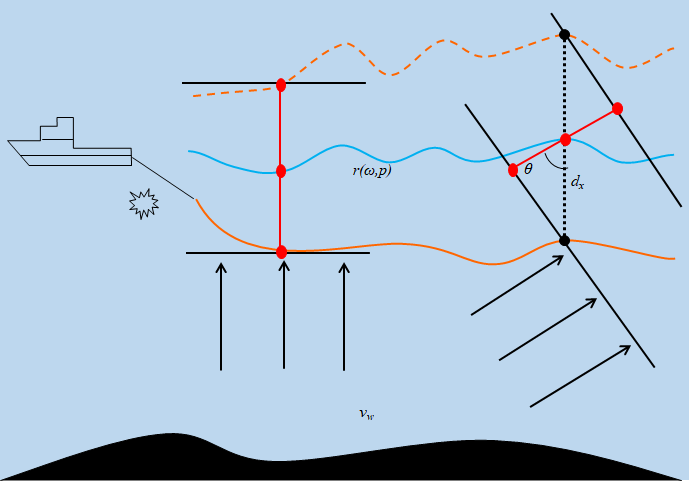 Figure 2: Constant-depth streamer data presenting limited variation of the receiver-side ghost delay times due to the sea surface undulations. 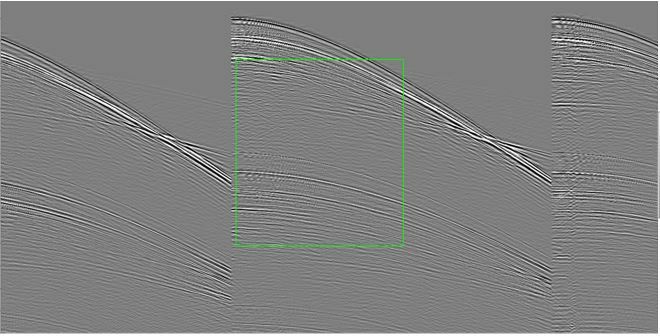 Receiver depths and the sea state can be estimated by analyzing the amplitude spectra of a shallow time window. This information is used to improve the deghosting outcome. 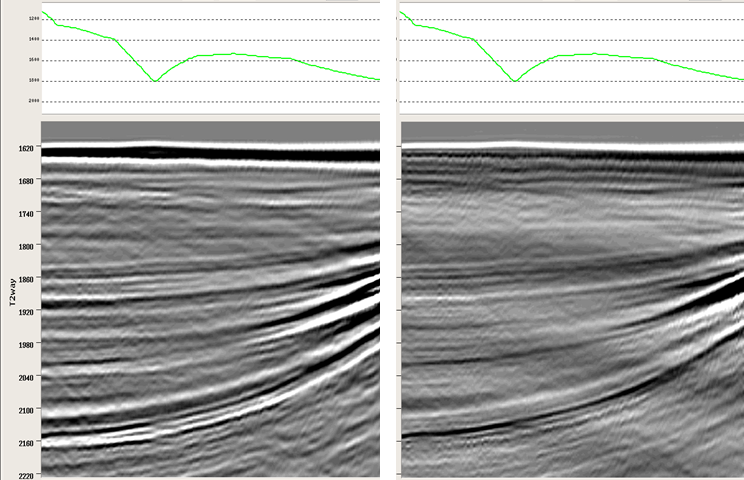 Figure 3: Variable-depth streamer data before and after deghosting (green curves show the streamer shape). AWD eliminates or attenuates the receiver and/or source ghost in marine acquisition.